Researchers from MIT and Stanford have developed a way to label neurons when they become active, essentially providing a snapshot of their activity at a moment in time. This approach could offer significant new insights into neuron function by offering greater temporal precision than current cell-labeling techniques, which capture activity across time windows of hours or days. Many cognitive processes, such as decision-making, take place within seconds or minutes. Neuroscientists have longed to capture neuron activity during such tasks, but that dream has remained elusive — until now. “A thought or a cognitive function usually lasts 30 seconds or a minute. That’s the range of what we’re hoping to be able to capture,” says Kay Tye, an assistant professor in the Department of Brain and Cognitive Sciences at MIT, a member of the Picower Institute for Learning and Memory, and one of the senior authors of the study, which appears in Nature Biotechnology on June 26. She developed the technology with former MIT Professor Alice Ting, who is now a professor of genetics and biology at Stanford and is also a senior author of the paper. The paper’s lead author is Wenjing Wang, a Stanford postdoc. While Ting was at MIT, she and Tye often ran along the Charles River together. One day about five years ago, they were discussing their dream projects. “Alice said, ‘If you could have any tool that doesn’t currently exist, what would you have?’ And I said that I would like to be able to functionally define populations of neurons and then study them,” Tye recalls. Existing tools allow researchers to engineer cells so that when neurons turn on a gene called cfos, which helps cells respond to new information, they also turn on an artificially introduced gene for a fluorescent protein or another tagging molecule. The system is designed so that this labeling takes place only when the animals are exposed to a drug that activates the system, giving scientists control over the timing — but not very precise control. This combination of light exposure and calcium activity triggers the activation of a transcription factor that turns on a target gene that the researchers have engineered into the cells’ genome. This gene could encode a fluorescent protein or anything else that could be used to label or manipulate neurons. For this kind of study, it’s particularly important to have a tool that works quickly because the same neuron may be involved in different tasks at different times. 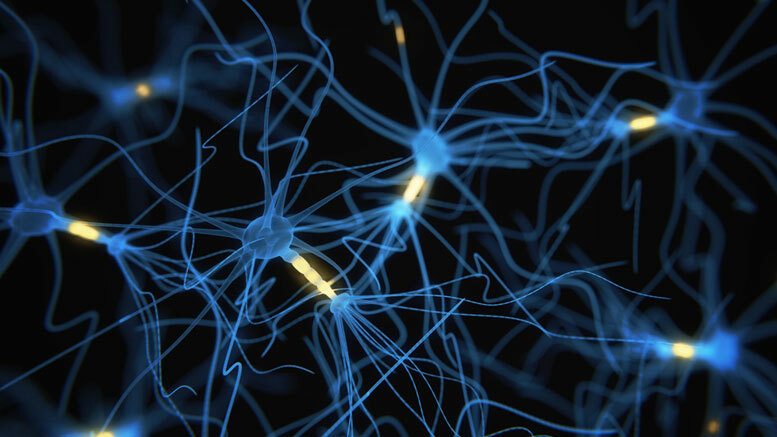 The current version of the technique can label neurons within a few minutes. This kind of tool could also be useful for studying and treating diseases, Tye says. For example, scientists could use it to identify diseased neurons that cause Alzheimer’s disease, potentially allowing them to pinpoint the neurons that need to be treated while leaving nearby healthy neurons alone, she says. The research was funded, in part, by the JPB Foundation, the National Institutes of Mental Health, and a National Institutes of Health Director’s New Innovator Award. Be the first to comment on "FLARE Technique Provides Snapshots of Neuron Activity"